Round, small dining or working table matching the Kevi classic chair. 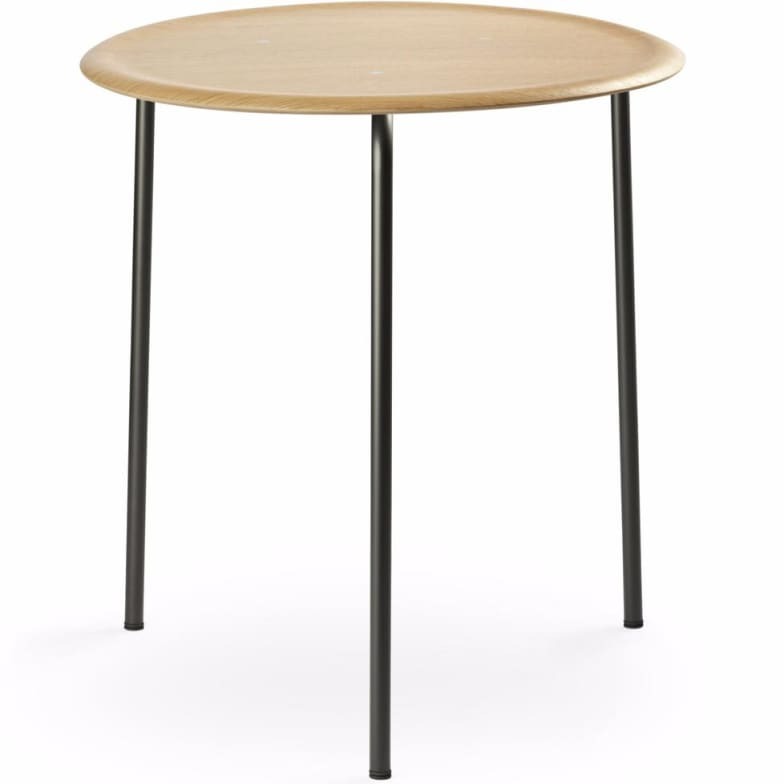 The KEVI table reflects the elegant minimalist design of the KEVI chair. It is available in three stackable versions - two round and one square - all tables can be stacked on top of each other in 8 pieces. These tables are ideal for cafés, canteens or private homes. The KEVI table is available in oak veneer, walnut veneer and with a lacquered surface in black or white. The tabletop is made of 13-layer veneer and the tube frame with a diameter of 22mm is available in chrome or with a powder-coated black surface. Do you have a question about "Kevi 2010 + 2011"? How can we contact you?